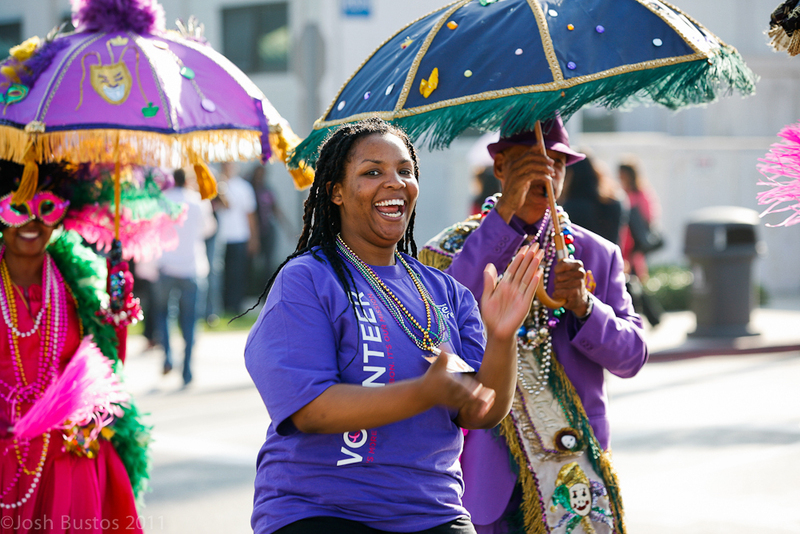 On Sunday, Komen OC teamed up with the Komen Los Angeles Affiliate and launched the Circle of Promise campaign in Long Beach to create the largest Second Line. A Second Line is a “lively dancing procession that celebrates life at the conclusion of a funeral” and is traditionally a celebratory component of Mardi Gras festivals. 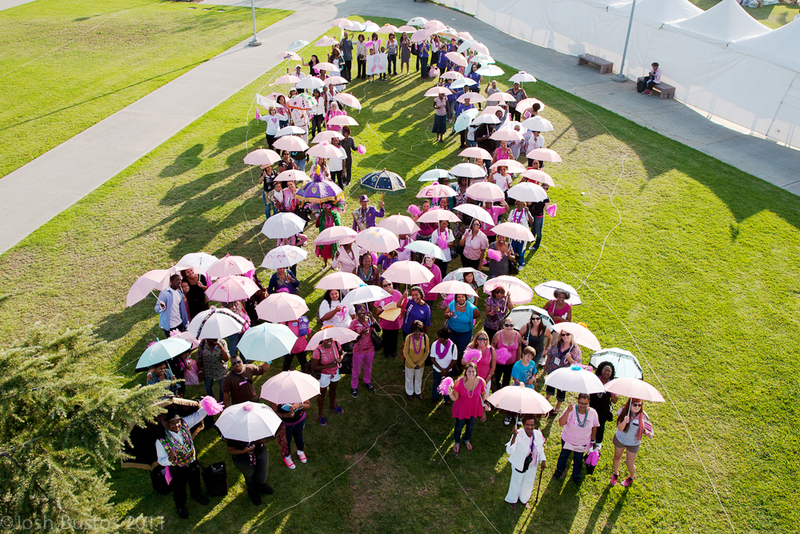 The Long Beach event allowed Komen OC, along with participants, to Bury the Silence and Raise Our Voice as we end breast cancer in African American community. 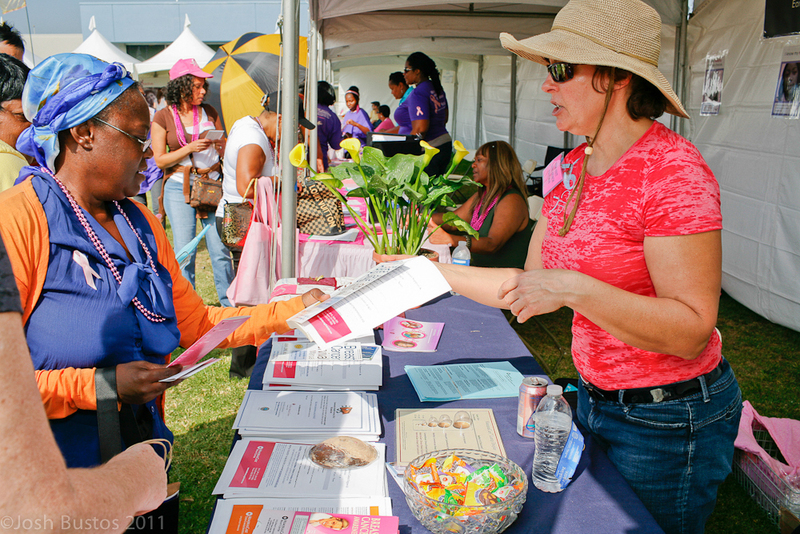 The Komen Los Angeles County and Orange County Affiliates, in partnership with the Komen African American Community Partnership, a collaboration of local agencies and key stakeholders, launched the local Circle of Promise campaign to reach at risk women in Greater Long Beach, CA. The goals are to engage the local community in the breast cancer movement, increase knowledge of breast health and local resources, reduce stigma related to breast cancer and motivate the use of annual mammography screening. 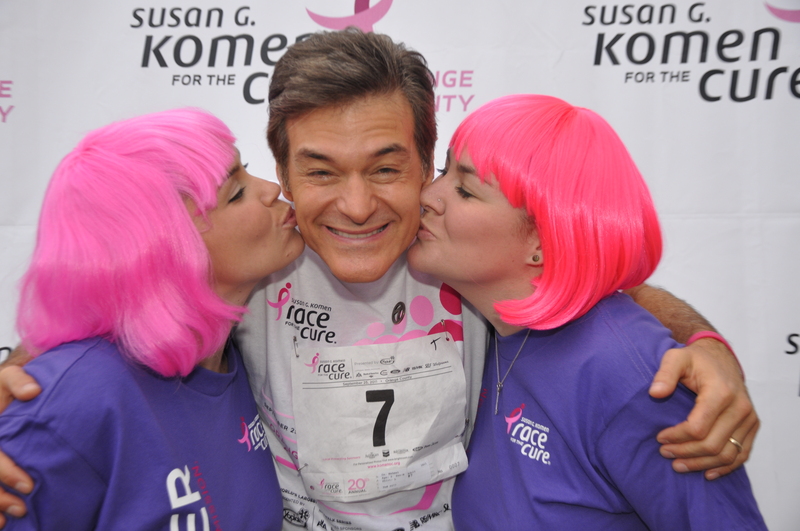 These efforts align with Komen National’s Circle of Promise and Queens of Keeping it Real Campaign. Based upon statistical analyses of the regional Cancer Registry, the Affiliates found that African-American women in its service area are more likely to be diagnosed with breast cancer at a later stage and are at significantly increased risk of dying from the disease than Caucasian women. 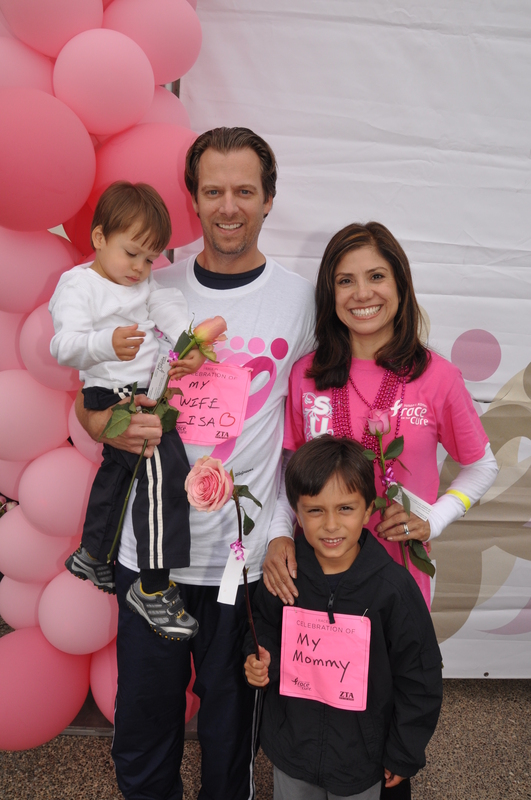 (Komen/ UCI Data Project; 2009) An individual who is diagnosed early has a 98% survival rate while those detected at an advanced stage have a 20% survival rate. For more information about this data, click here. The Circle of Promise campaign is designed to engage African American women to help end breast cancer forever by increasing awareness, support, empowerment and action. The program works by mobilizing the community to ensure that women everywhere have access to the care they need. For more information, please call our office at 714-957-9157. 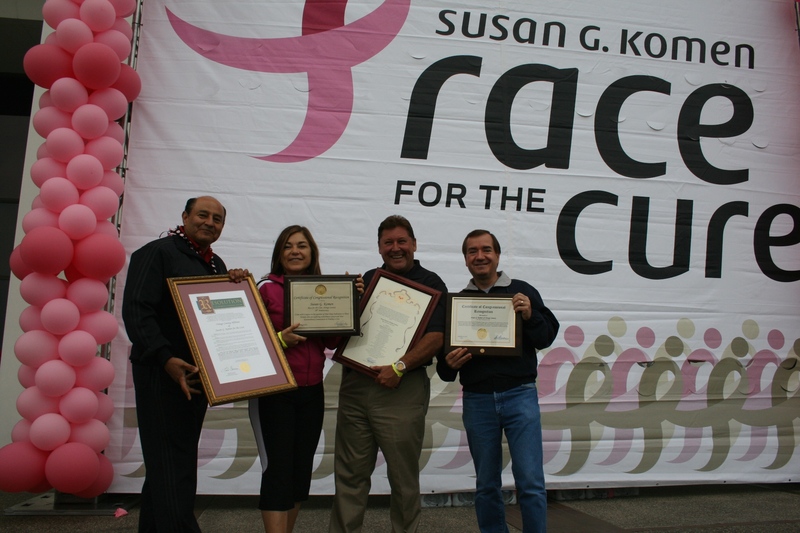 Members of Congress Loretta Sanchez and Ed Royce and Steve Spernak, and policy advisor representing the office of Orange County Supervisor Shawn Nelson, presented plaques acknowledging the work the Affiliate has done over the last 20 years. The plaques were presented in acknowledgement of the work done to provide outreach and education on breast health/cancer, as well as to help Orange County women find access to screening, diagnostics and support. State Senator Lou Correa provided a resolution signed by all state senators and assembly members representing Orange County. We are truly thankful to have such strong supporters of our breast health initiatives at the local, state and national level, especially during these challenging economic times. Congratulations to Nadine Doran who won the Mobile Edge computer bag and Lynn Stansberry and Rafael Gonzalez who won the BMW computer bags! Thank you to all who signed the petition to help save the National Breast and Cervical Cancer Early Detection Program and to all of you who generously donated at our booth at the registration suite and the Race. Together we raised $1,330 from the advocacy alliance drawing to help provide mammograms to the most vulnerable women in our community. 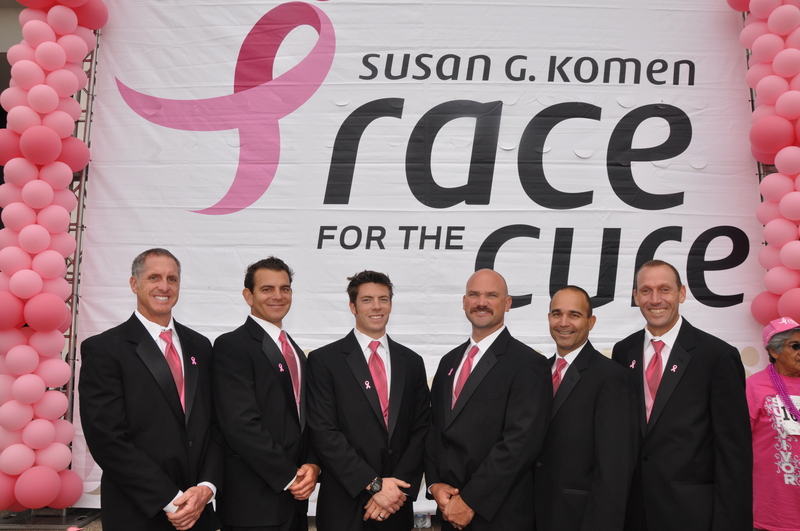 Mobile Edge is a corporate sponsor for Susan G. Komen for the Cure and works closely with Komen OC. 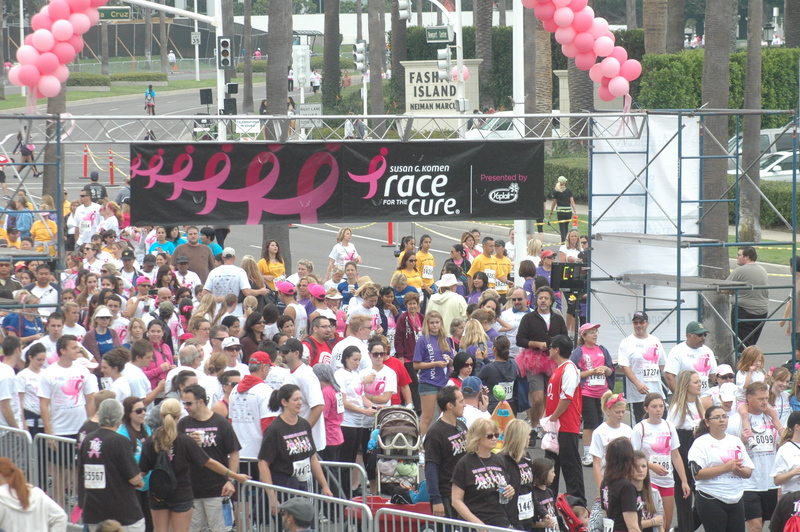 Mobile Edge donated 2,000 Cancer Survivor Bags and Komen Laptop Bags to help Komen OC reach our fundraising goal. 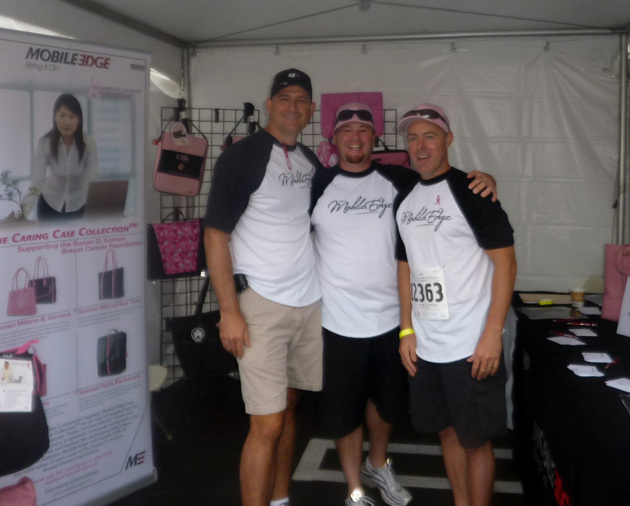 During the Race, Mobile Edge’s booth gave away three different laptop cases to participants who stopped by. Mobile Edge created the Caring Case Collection, which is comprised of pink-themed laptop bags all toting the symbolic pink breast cancer ribbon. Mobile Edge donates 10 percent of the retail selling price of each case in the Caring Case Collection directly to Susan G. Komen for the Cure. More than 300 individuals signed up to win. The winners of the drawing will be announced in the next blog post. 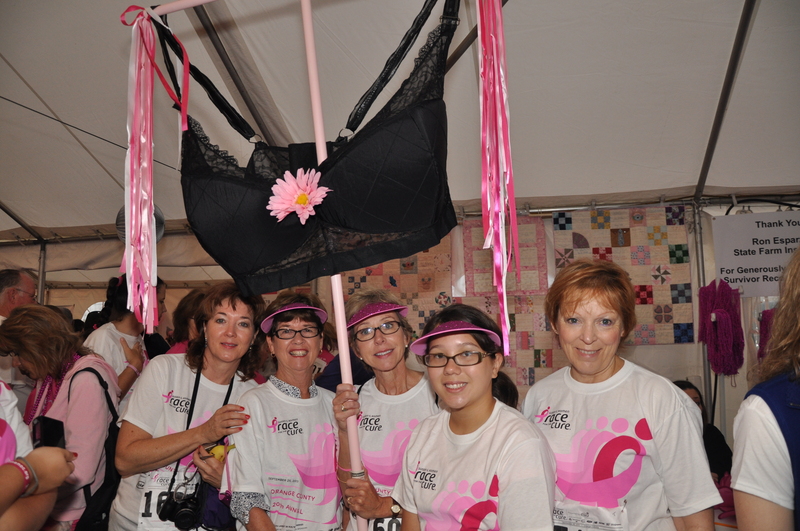 Are you looking for a way to get involved with Breast Cancer Awareness Month this October? There is something happening everyday in October: click here to find out what you can do to create a world without breast cancer. 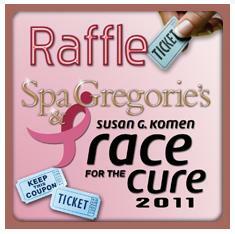 Let us know what you thought about the Race and how you are going to help for Breast Cancer Awareness Month.